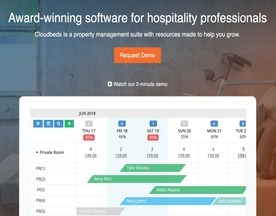 What is Online Hospitality Property Management Software? Project Management Systems (PMS) are used to coordinate the operational functions of the front office. Useful features will include guest bookings, guest details, online reservations, point of sale, food and beverage costing, HR and payroll, maintenance management, and other features.